Business, industry, government and peak body associations agree: the need to diversify the workforce is crucial. According to Ai Group’s National Manager – Workplace Relations Policy, Nicola Street, given that employment in STEM occupations is projected to grow at almost twice the pace of other occupations, increased female participation in occupations and industries that require STEM skills and qualifications is critical for industry to future-proof its STEM workforce. This assertion underpins RDA Hunter’s STEM workforce development program, ME. Underwritten by and delivered in close partnership with the Australian Department of Defence since 2009, ME’s aim is to upskill, grow and diversify the Hunter’s workforce – especially in support of the defence industry. The ME Program facilitates formal partnerships between Hunter industry and high schools to make curriculum more workplace-relevant and build awareness of defence industry career pathways. It has a strong focus on developing science, technology, engineering and maths (STEM) skills in students from years nine to 12 in readiness for the jobs that industry will require in the future. “ME is a successful, truly industry-led model that we are extremely proud of. 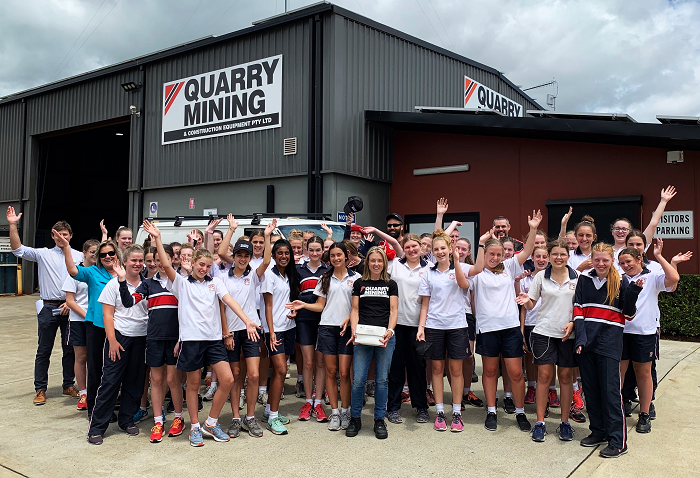 It is emulated widely because it works and we are thrilled by the latest figures that show more girls are increasingly engaging in our STEM programs and becoming aware of the many and various career opportunities that STEM in defence opens up for them.” continued Mr Turner. The ME Program currently partners with 47 Hunter high schools. Of these, eight are considered Group One, or high engaging schools, meaning they regularly participate in ME’s STEM development activities. Of the Group Ones, three are Department of Education (DoE) schools, three are Catholic, one DoE selective and one Independent. Maths Ext 1 enrolments are comparable with the NSW average at 6%. “We have seen a marked increase in the participation of girls in our programs. Of note is the number of girls that have enrolled in Engineering Studies in 2018.” said RDA Hunter’s STEM Workforce Manager, Rick Evans. “These results are a reflection of the programs we’re currently implementing. 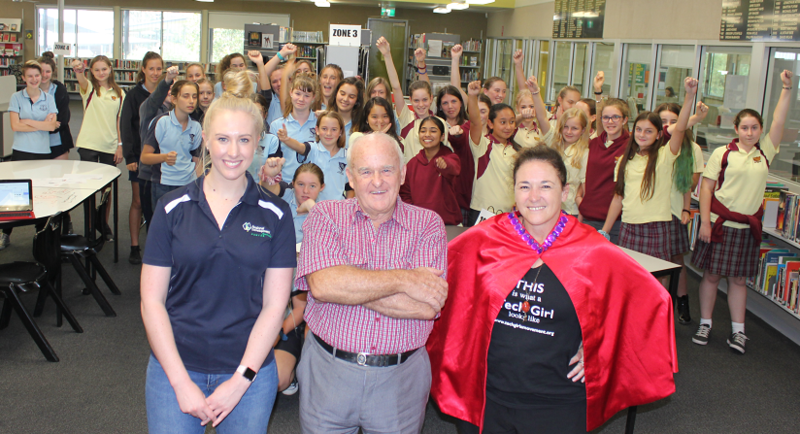 Programs like Tech Girls are SuperHeroes and sheflies that have been specifically designed by professional ‘STEM women’ to inspire girls to elect STEM subjects, as well as to help them understand the industry applications of studying these subjects and the career opportunities which open up for them.” continued Mr Evans. Futurist and founder of the Tech Girls are SuperHeroes program, Dr Jenine Beekhuyzen works to build the skills and confidence of girls in science, technology, engineering and maths (STEM). Dr Beekhuyzen’s global network, which extends to Europe, the United States and Asia and includes research collaborations with Deakin University, QUT, the University of Muenster, Germany and the University of Liechtenstein, reinforces the worldwide need for gender diversity. “There’s no doubt that I.T is a male dominated field, globally. After years of being one of only a handful of women in the sector, I asked myself why?,” said Dr Beekhuyzen. Dr Beekhuyzen is an advocate for diversity in technology and has a strong background in academic publishing on gender and IT. She is the Asia-Pacific representative for the Association for Information Systems-National Center for Women in Technology (US) and the United Nations PRME Coordinator of the global repository on gender and technology. 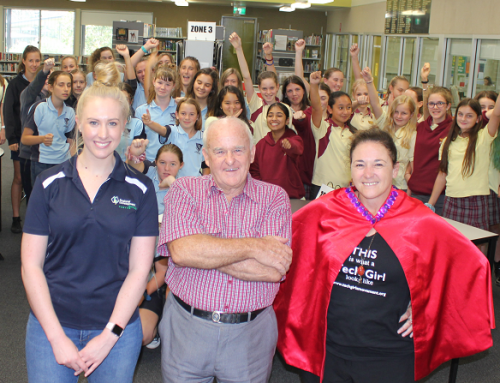 “We also inspire young women to solve important community problems with technology skills and business acumen through our annual online Search for the Next Tech Girl Superhero competition. And we run hands-on workshops for entrepreneurship, robotics and electronics.” continued Dr Beekhuyzen. Solving community problems with the assistance of technology is the area in which RDA Hunter’s ME Program has recently engaged with the Tech Girls Movement. 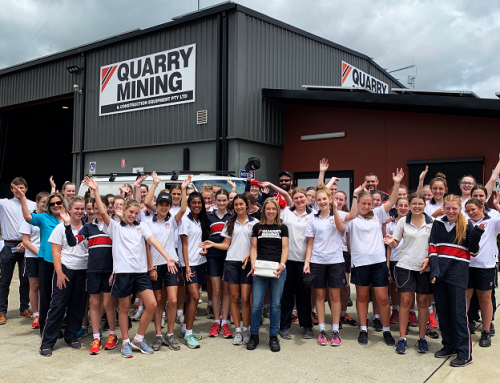 Implementing its Entrepreneurship in a Day Program with four Hunter high schools in May 2018, RDA Hunter was able to connect more than 80 students directly with Dr Beekhuyzen and her innovative program. Approximately 20 students from each participating school – Tomaree High School, St Philips Port Stephens, St Pius X High School and Lambton High – were immersed in the two hour program that saw them participate in coding activities and the design and development of an app to address a world problem. Facilitated, rather than taught by Dr Beekhuyzen, the program imparted important practical skills while also building girls’ enterprise skills by allowing them the freedom to self-manage their time and their project outcomes. 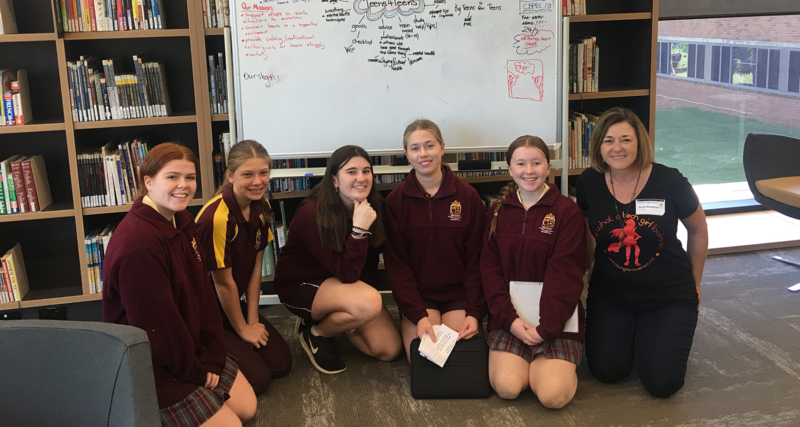 “We thought our idea was worthwhile and we really enjoyed working together, so we’ve decided to continue with the Tech Girls are Superheroes competition. We know its school-work and we’re learning but it’s fun and gives us the opportunity to meet interesting people. Seeing women like Dr Beekhuyzen who are really smart and who have taken their interest in science subjects and turned it into a job is inspiring. It’s opened our eyes, a bit, to what’s possible.” Bethany and Doeun continued. “I’m really pleased that Bethany and Doeun embraced the opportunity RDA Hunter provided and have decided to continue with Tech Girls and enter our international competition. It takes courage to put yourself and your ideas forward, but our work, as well as providing technical knowledge, gives girls the moral support and the positive environment that leads to the confidence to do just that. I’m really proud and can’t wait to see how Bethany and Deoun progress their concept.” continued Dr Beekhuyzen. Kate O’Mara is a freelance project director and strategic communications specialist with a background in regional development.